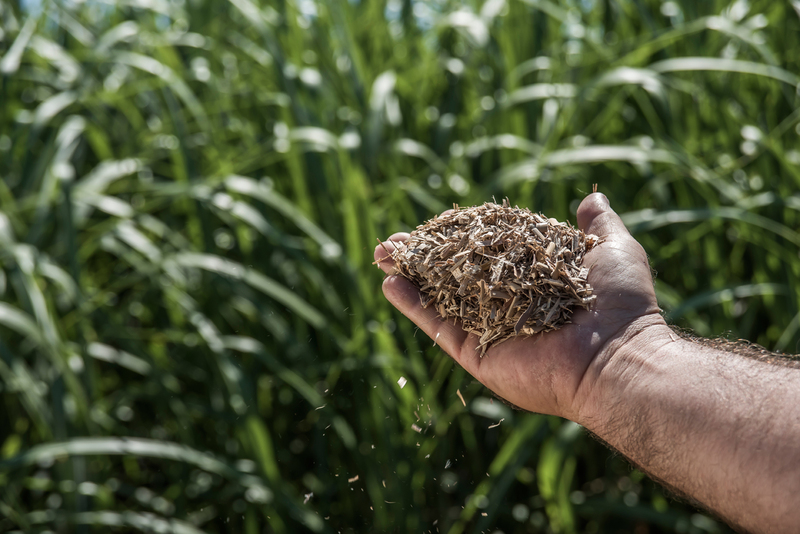 AGgrow Sorb – produced from FREEDOM® Giant Miscanthus is an all-natural non processed product that offers high performance characteristics with a more economical supply approach. It is 3 times more absorbent than wood shavings, bio degradable, sap free and has soft material characteristics. ASTM test was performed by Milsaps college sorbency lab. 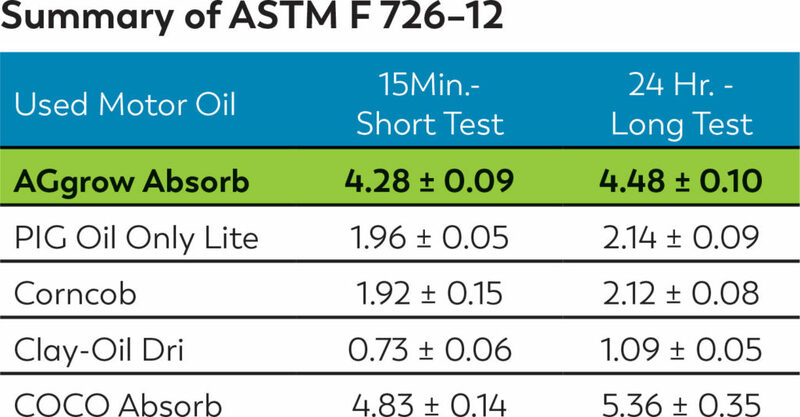 Testing was done using protocol in American Society for Testing and Materials (ASTM) F 726–12 -Standard Method of Testing Sorbent Performance of Adsorbents. The particulates are classified as a Type II sorbents by ASTM and were evaluated using the Oil Adsorption – Short Test, and Oil Adsorption – Long Test in used motor oil. 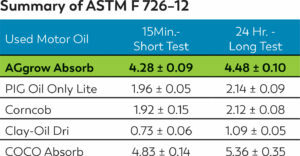 Used motor oil is classified as a medium weight oil by ASTM. The fine-grained nature of the sorbents required that testing be done in nylon hosiery socks to prevent loss of material during Short and Long tests. The sorbency of the sock was not included in results. 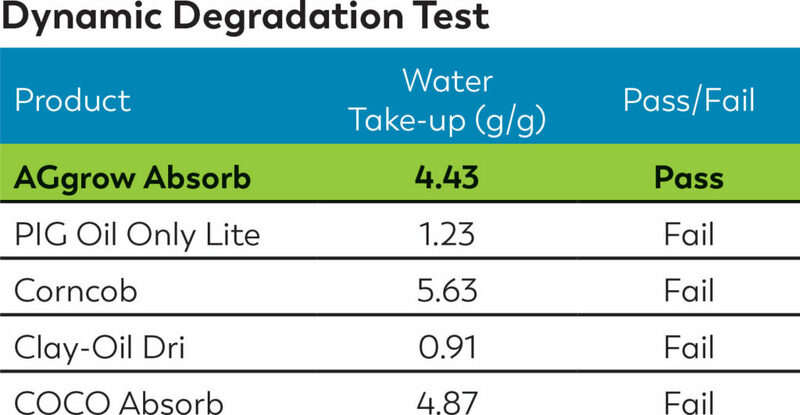 Sorbency values are reported as a ratio of fluid adsorbed relative to the dry weight of the sorbent. All sorbent tests were run in triplicate. 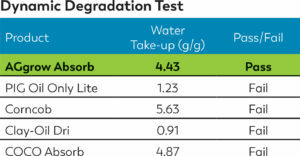 The sorbents were also evaluated using the Dynamic Degradation protocol.